GE’s RVI fiberscopes are hard wearing machines, constructed with a stainless steel monocoil core, waterproof sealant and stainless steel or tungsten outer braid to withstand the harshest applications. They are designed for maximum usability with ergonomic controls made for easy single handed manipulation. 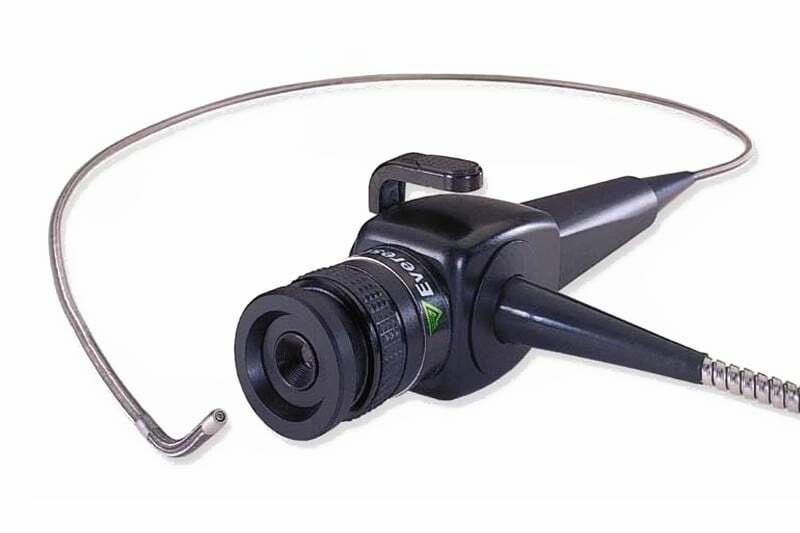 With over 30 standard models to choose from, GE offers a large number of fiberscope diameters, lengths and viewing options. Standard articulating models feature diameters from 2.4 mm (0.94 in.) and lengths up to 2.7 m (8.9 ft.). 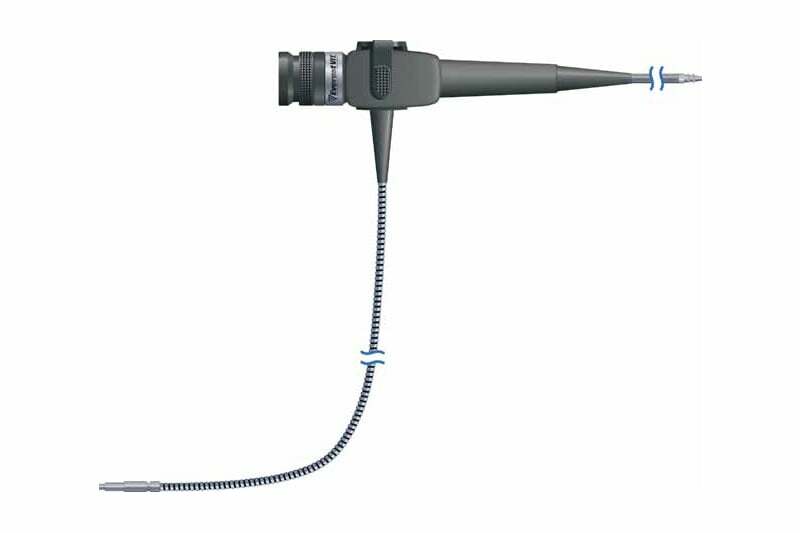 Non-articulating models are available from 0.5 mm (0.20 in.) diameter and in lengths as long as 2.0 m (6.6 ft.). GE “Superfine” image guides have 50% more fibres in the same size image bundle compared to similar models. These extremely thin fibre optics provide a high resolution, ultra sharp image of the inspection surface. GE fiberscopes are also available with quartz fibres for high performance UV illumination. 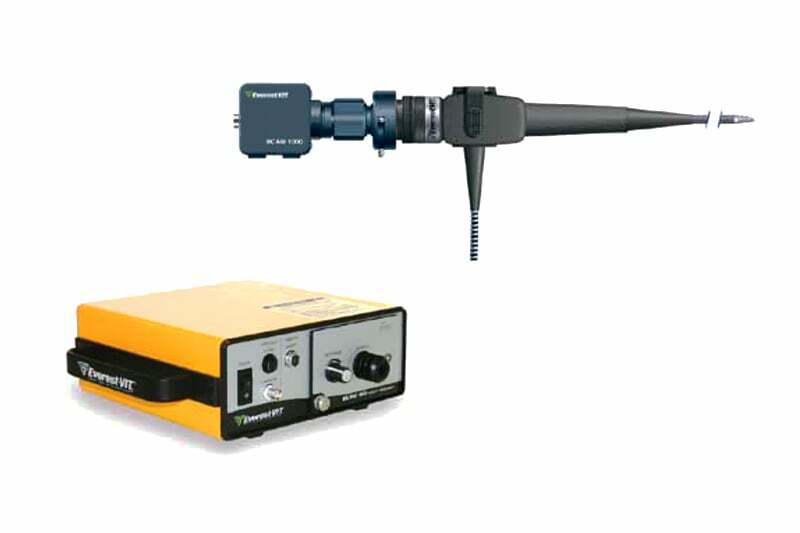 Contact us to find out more about RVI fiberscopes or any of our other borescopes, or click to view our pipe inspection camera range.